As a topic that was spun of from @tfk_fanboy 's Bourbon thread, let's dedicate this one to your best grilling foods, methods and techniques, what you use whether it be a gas grill, charcoal, wood, electric etc. Smoker, Charbroil, Weber, Egg, self made... you name it. I just got a smoke, Acorn ( Little Gree Egg type) and Havnt learned how to use it yet. 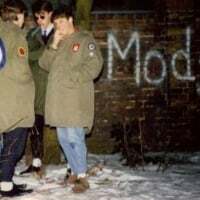 So I’d love to hear about people Smoking methods and techniques. Aaron Franklin to Meathead Goldwyn, love those guys and the only cookbooks I own. @PharmDawg2054 How long did that need to stay on the smoker ? Sounds and looks awesome. and leftover pulled pork is also amazing for nachos. add in your normal toppings for loaded nachos and use pulled pork instead. @pharmadawg That's a beautiful grill man. A six wheeler even. And that's one stout grate. 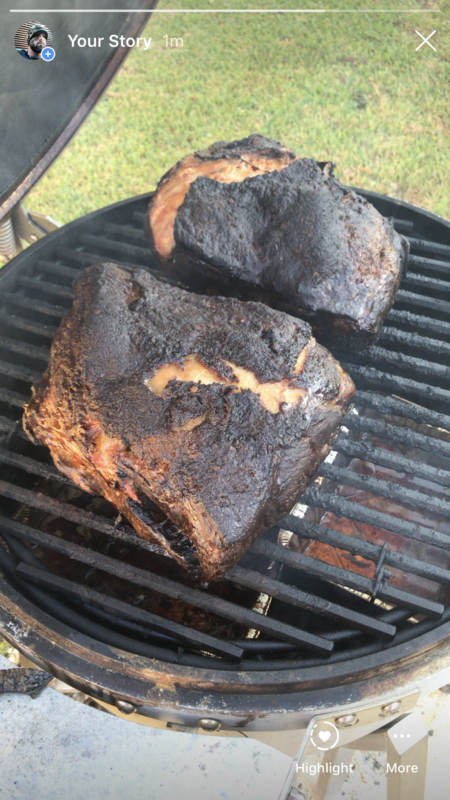 i let the butts get as close to room temp as possible before putting on the grill. Once they are done I wrap them up multiple times and place them in a cooler (no ice) just because it holds the heat and let’s the juices redistribute. I suggest a minimum of resting for 2 hours but I have let them rest for 6 and they were still hot and pulled just fine. Wrapping and letting the meat rest in a cooler for a few hours is great advice for anything cooked low and slow. 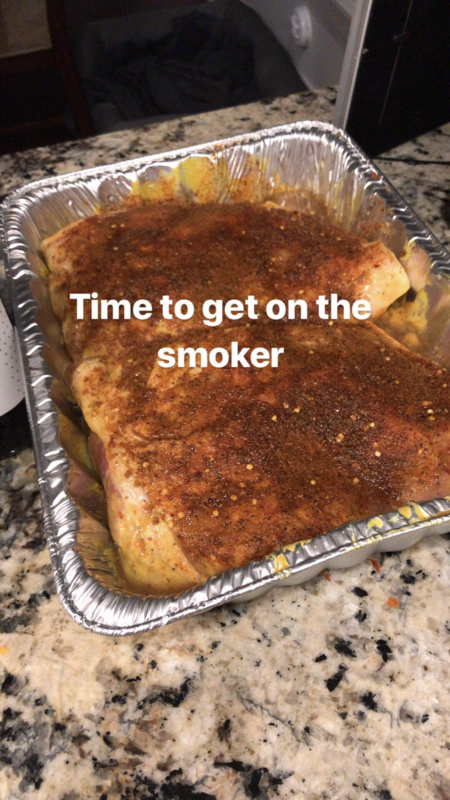 I wrap all my briskets and butts in foil, an old bath towel, and rest them in an old Coleman cooler for two hours. I’ve also figured out that chasing a perfect cooking temp is secondary to internal temp of the meat. I’ll cook both briskets and butts to an internal temp of 203 degrees; it always works, regardless of what my cooking temp is (within reason). 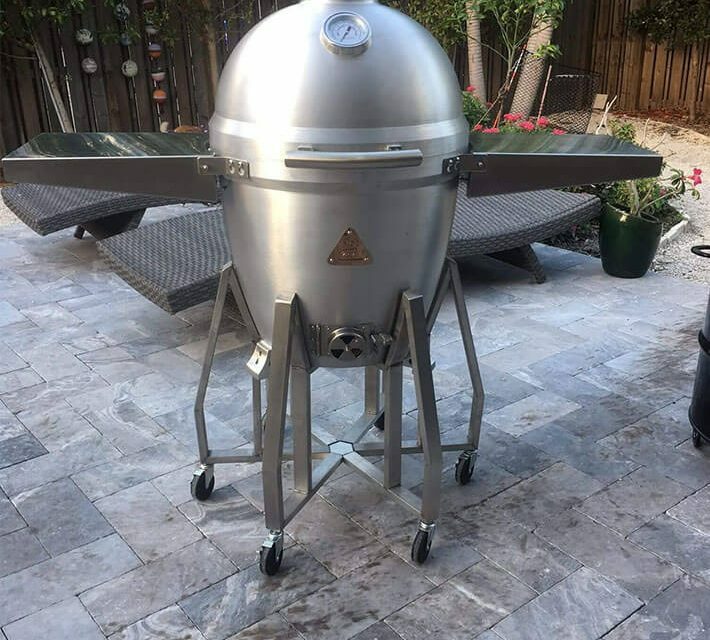 @CZCashvilleDawg I’ve cooked hundreds of pounds of briskets, ribs, butts and other meats on my Akorns; they’re a great introduction to Kamado cooking. Best piece of advice I can offer is what I said above; don’t chase temps on the grill! Get a good remote digital thermometer and monitor the internal temp of your meat; that makes all of the difference! Some other advice I have is for ribs; 4 hours at 275 degrees always works for me, babyback, St Louis or country style. 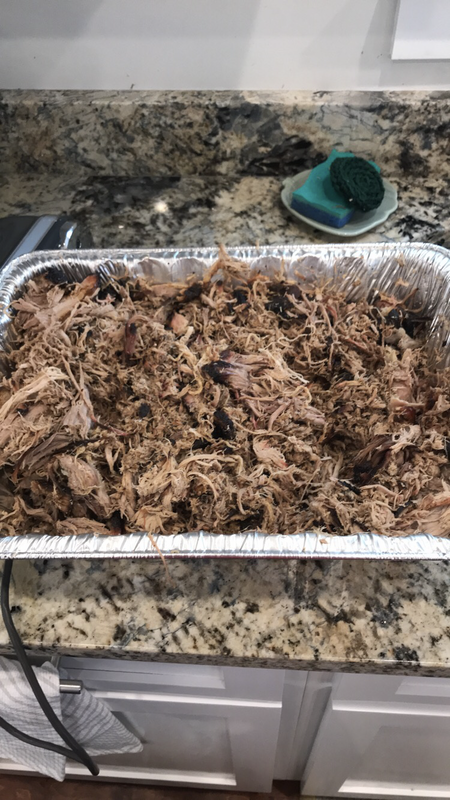 Finally, use pork butts for your learning curve; they make great pulled pork and are very forgiving. Good luck! I’m with you on cooking temps...but if they vary during the process, I don’t sweat it anymore. I used to chase 225 for briskets and 300 for butts like they were gospel; not so much anymore. JMO here, the “key” to a great result when smoking is charcoal, wood and water instead of gas or electricity. It takes quite a bit longer, more effort, but well worth the end result. I know the Thanksgiving Turkey can be deep fried, but good old fashioned charcoal, wood of choice and water makes a smoked turkey the best it can be. You can also add some of your favorite cooking wine to the water for flavor. I prefer hickory or apple wood, but there are many choices. I’ve never used a egg or anything similar, but I do like them. The pellet cooking set and forget watching seems to be the trend as of late. Personally, I like my Lang stick burner because I keep an eye on it. Haha I even put these fancy thermos in it so I dont have to watch the temps, but always find myself out there. I personally know Myron and his family, but am better friends with his uncle. Bark looks really good pharm bro. Did you wrap or not? Thanks for this thread @ghostofuga1. All of us on here know a little bit about football, but it's fascinating to see how everyone differs beyond that. It was clear from the bourbon thread that some folks were knowledgeable, a few were experts, a few were novices, and some didn't know the first thing. I'm a novice about bourbon, knowledgeable about scotch, and an expert on wine, but I don't know the first thing about cooking out. Hopefully a couple of folks can offer some real basic guidance on here. If not, I'll just google everything I see and try to get up to speed. Either way, I am grateful for this thread. Aaron Franklin is the bbq man in Austin. When I was there fall of 2017 his shop was under renovation so I had to settle for bbq somewhere else. I was not a happy camper. Yo, anotherdawg bro, we got you. I’m far from a pro, but I feel like I have advice to offer. Everyone has a way. Take what you like and what you can do from suggestions. Then do it and be the life of the house. Is adam related Ben C of Lang smokers? I didn’t think he was, but figured I could be wrong. I have a Lang from the Savannah area and hadn’t heard the name. Aaron Franklin is the goofy kid on the block in the world of Texas BBQ. His "cookbook" has like 5 recipes. It is more "why" than "what" but he has made quite the name for himself. you want his food? get in line a few hours before they open and you'll get a plate, usually. Meathead is the man, plain and simple. he owns and operates amazingribs.com and I'd argue it is the best resource for grilling and smoking on the web. a lot of scientific method behind his madness. no "grandpa's way"